Shelby's Hop-a-thon Fundraiser Campaign | Kind.Fund: Crowdfunding and fundraising for personal causes and charities. Welcome to my pledge page for my preschool’s annual Hop-a-thon! Each year in its annual survey, Cuvilly families are asked what they would never want to change about our preschool and that answer is always the animals. On February 13, 14, and 15, 2019, during Cuvilly Arts & Earth Center’s Love Your Critters week, my classmates and I will be participating in the annual Hop-a-thon to help our school’s animals. Each of us will do as many hops as we can in a timed 60 seconds to raise necessary funds to care for our beloved creatures. As you may know my preschool, located in Ipswich, Massachusetts, is farm-based and nature-based. Cuvilly is home to many animals whom we all adore and learn from each day. Our animal pals include four dogs, two cats, two pigs, two alpacas, three horses, one pony, one donkey, four sheep, five goats, five roosters, five geese, 10 ducks and 30 chickens. Their care and upkeep requires more money than you’d imagine! Because these animals are so special to me, I want to hop as many times as I can to help support them. But I also need your help. I'll tell you how many hops I’ve completed after the Hop-a-thon but I ask that you please consider supporting me before then with a pledge donation! Each and every dollar goes to feeding, sheltering and caring for our animal critters. Thank you for sponsoring me and for supporting my school and its animals. Children thrive when allowed extended periods of time in the natural world. Animals – an integral part of the natural world – positively support child development. 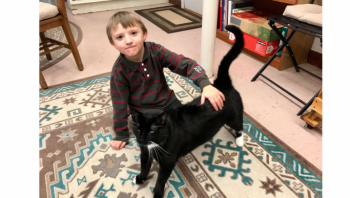 The magical and meaningful relationship children develop with animals while in preschool is a gift that lasts a lifetime. The Cuvilly Arts & Earth Center is a ministry of the Sisters of Notre Dame de Namur. 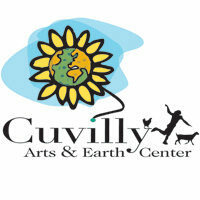 Cuvilly is dedicated to modeling ecological sustainability through programs in education, agriculture and the arts. Cuvilly strives to create a space that respects all of creation in an ecological balance. All decisions are made with this guiding principle: All of life is sacred and the diversity of life is essential for the well-being of the planet.